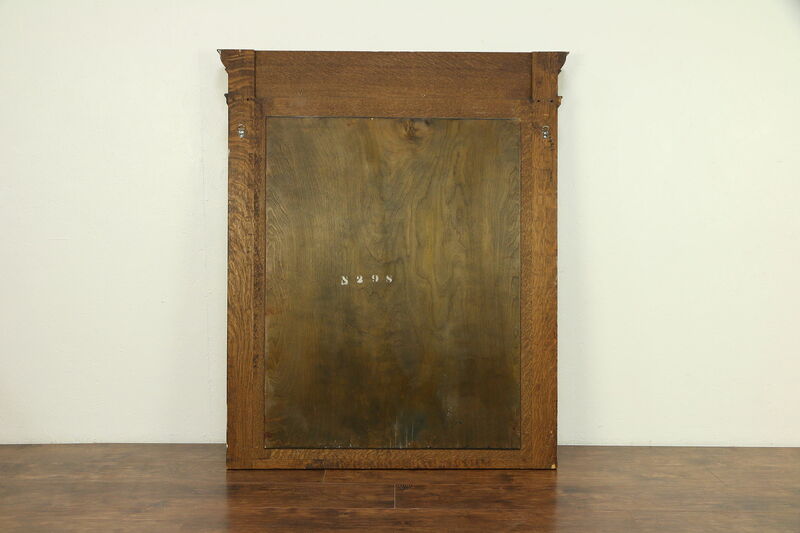 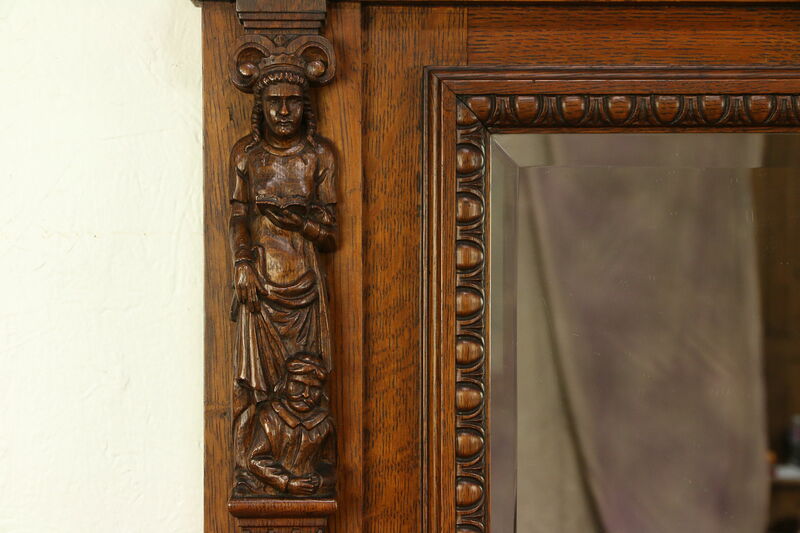 This beveled mirror from Belgium has a deeply hand carved solid oak frame with sculptures of lion heads and standing figures reading books. 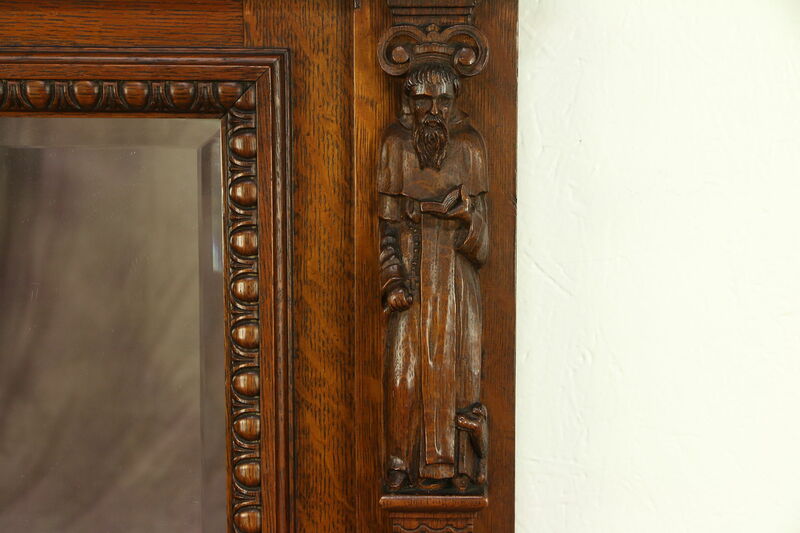 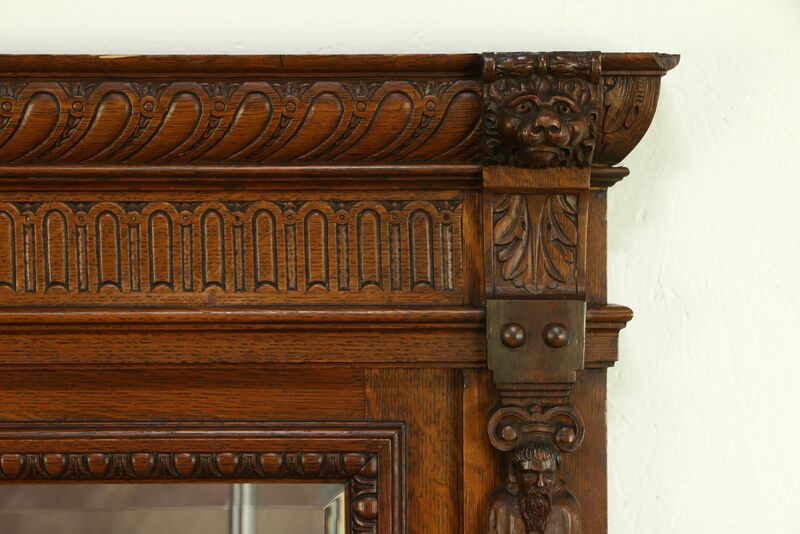 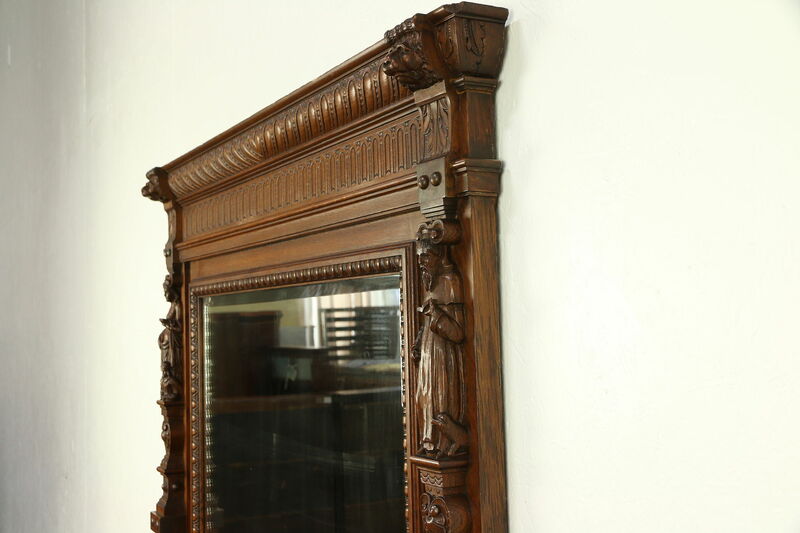 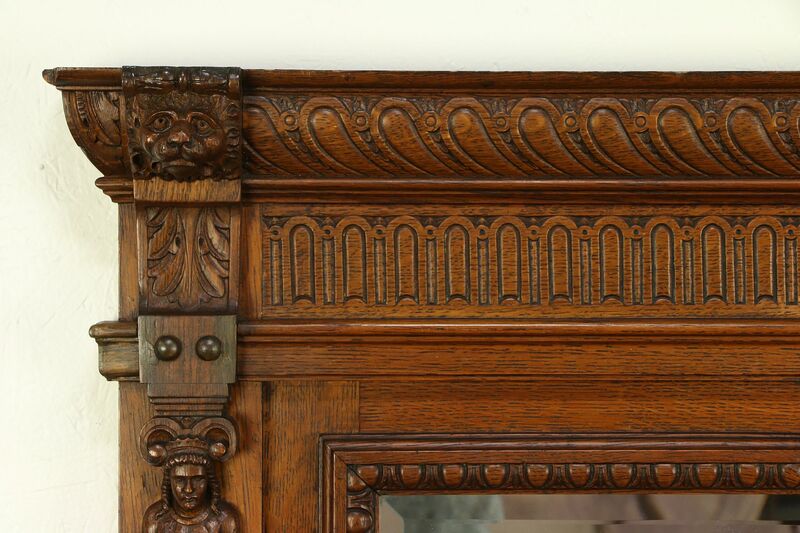 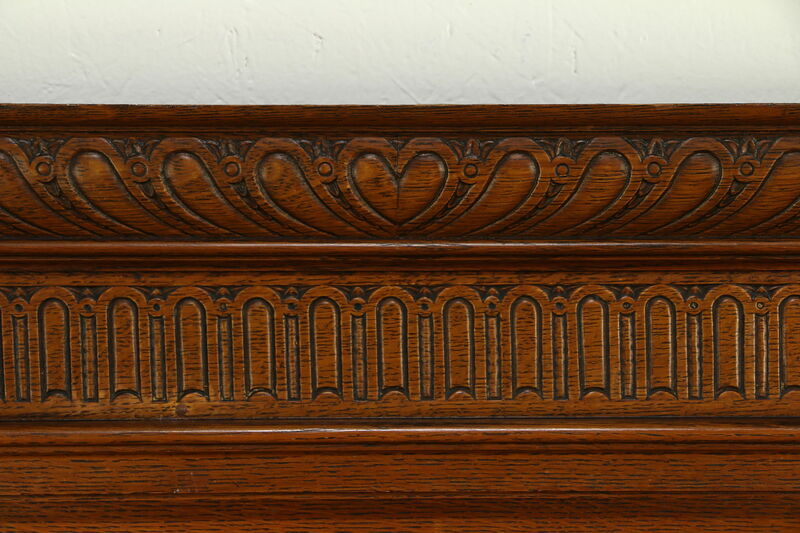 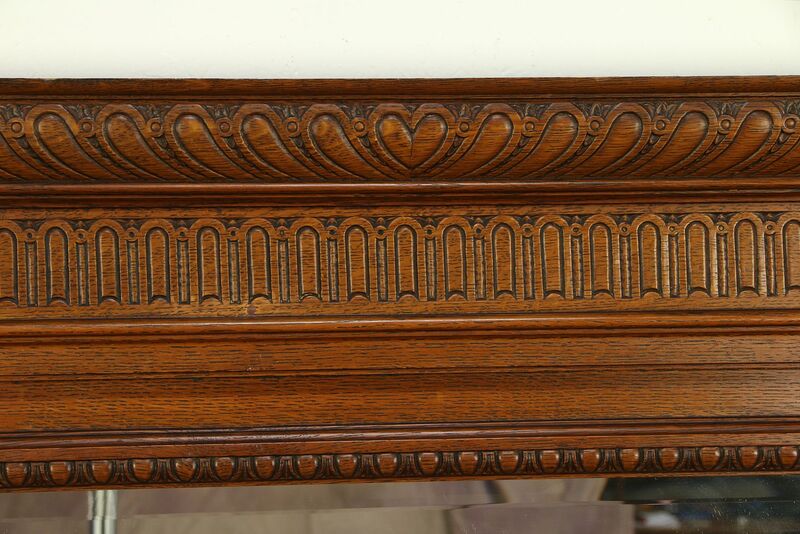 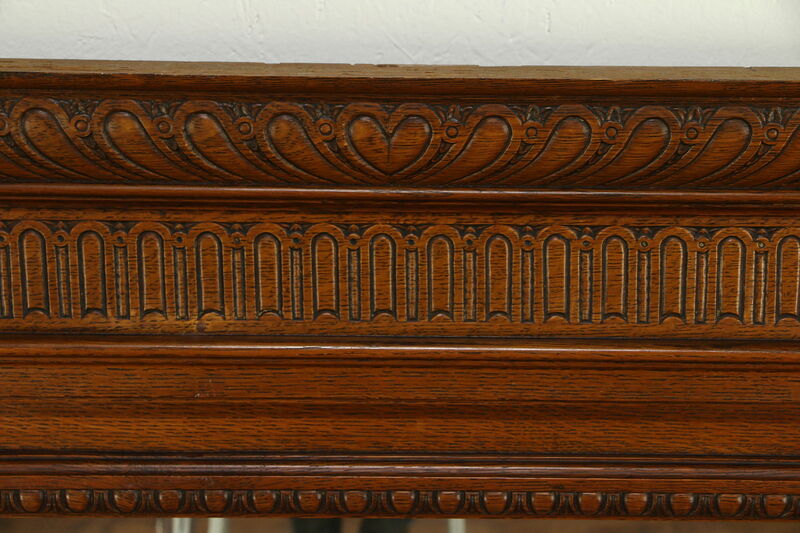 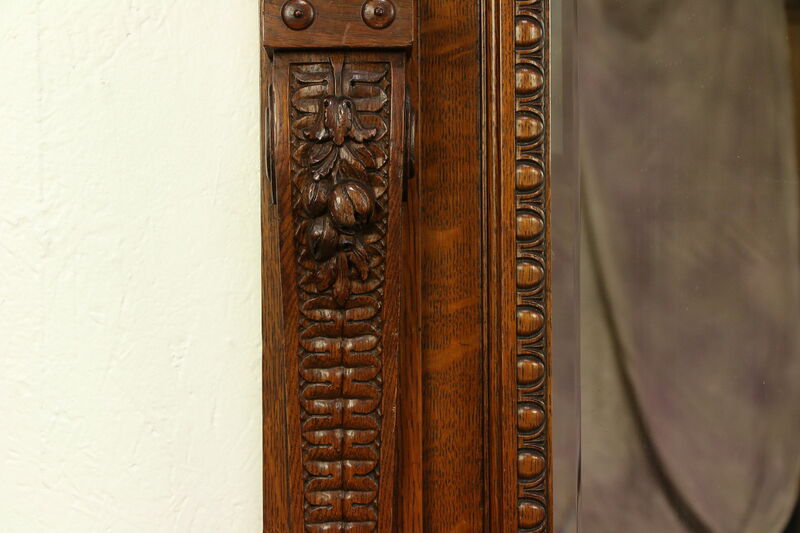 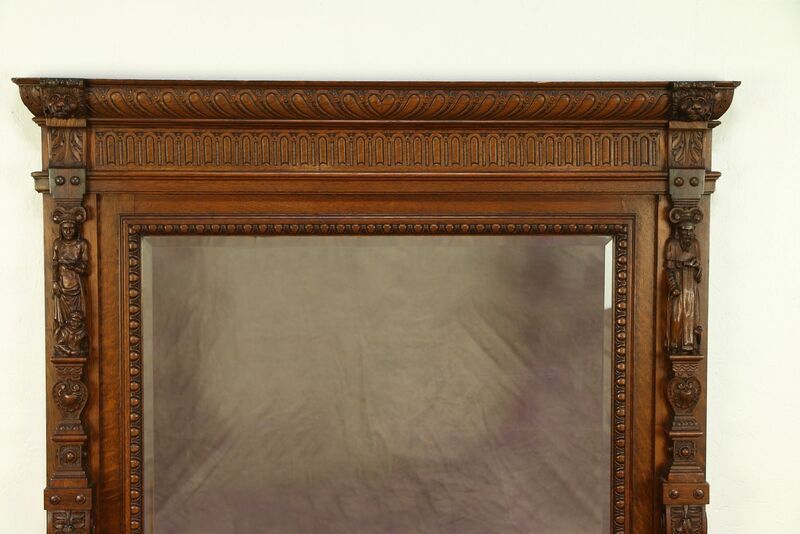 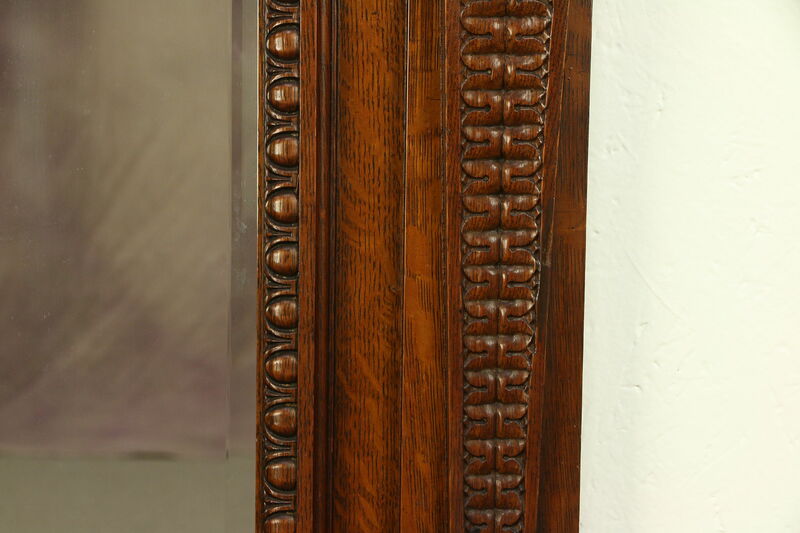 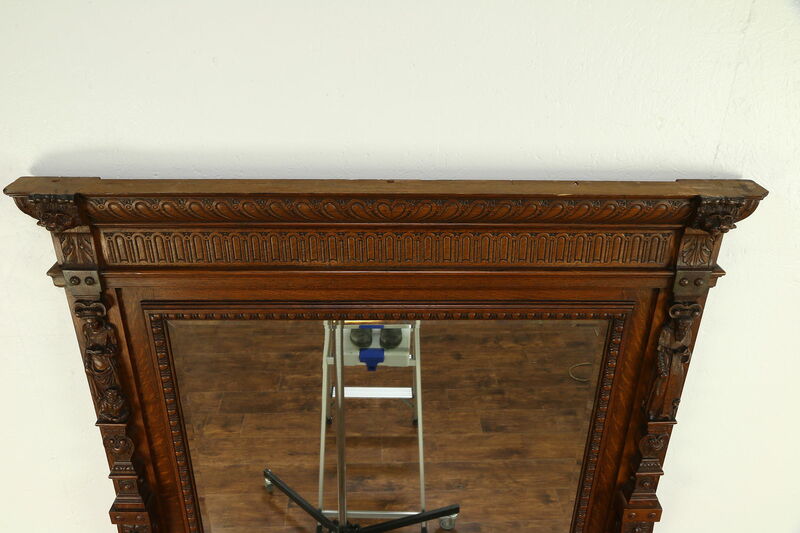 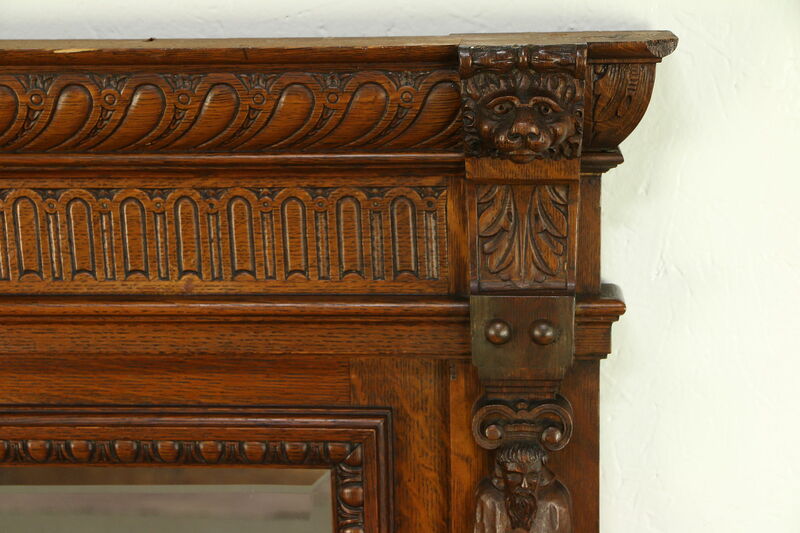 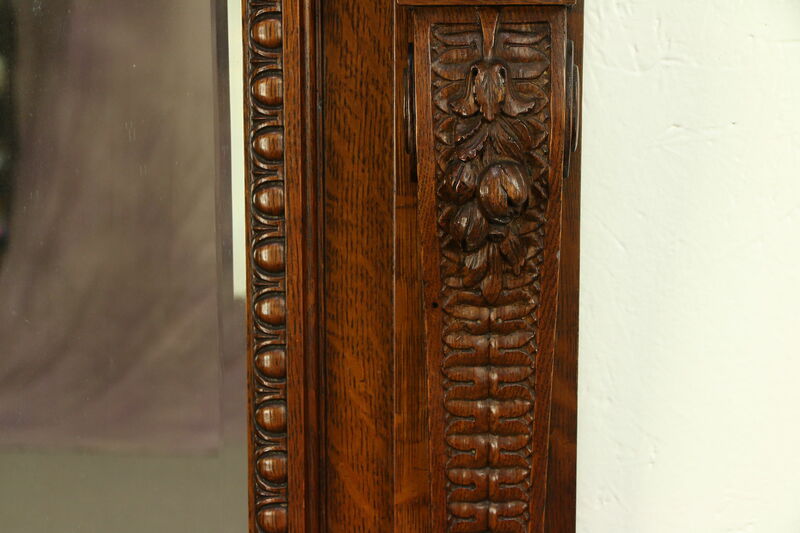 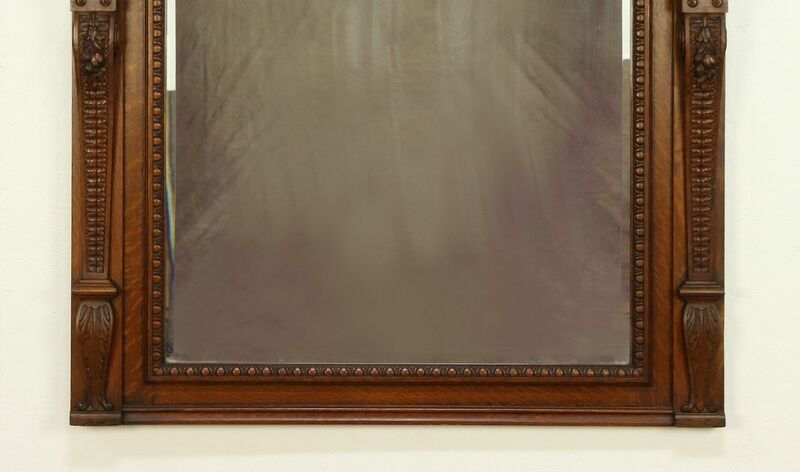 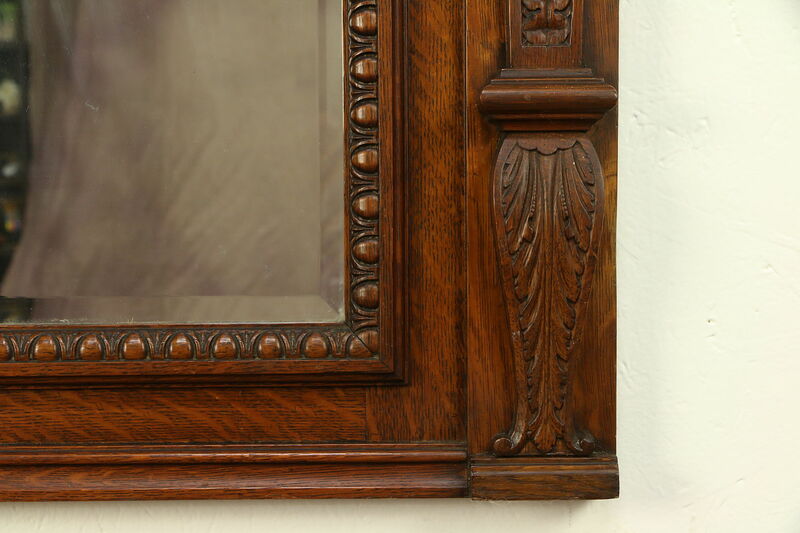 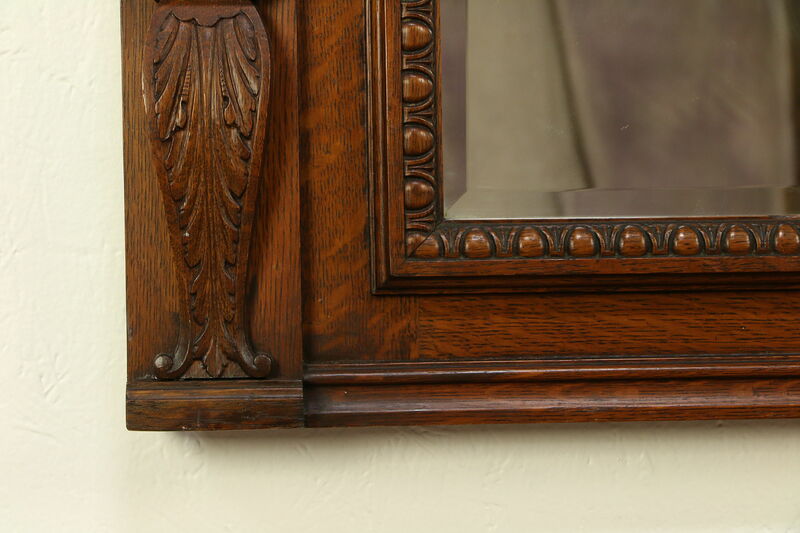 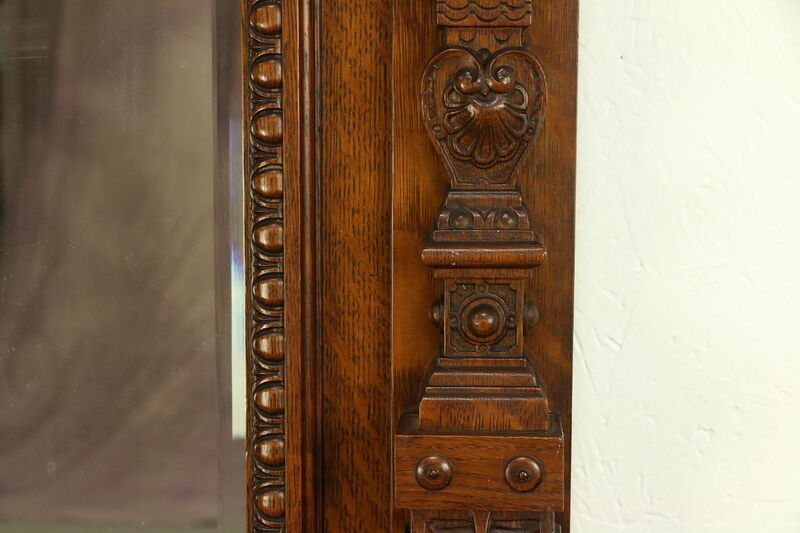 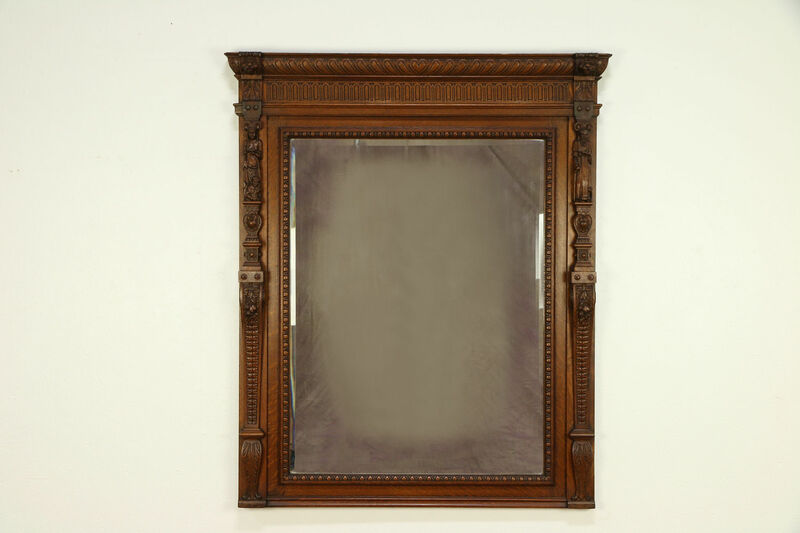 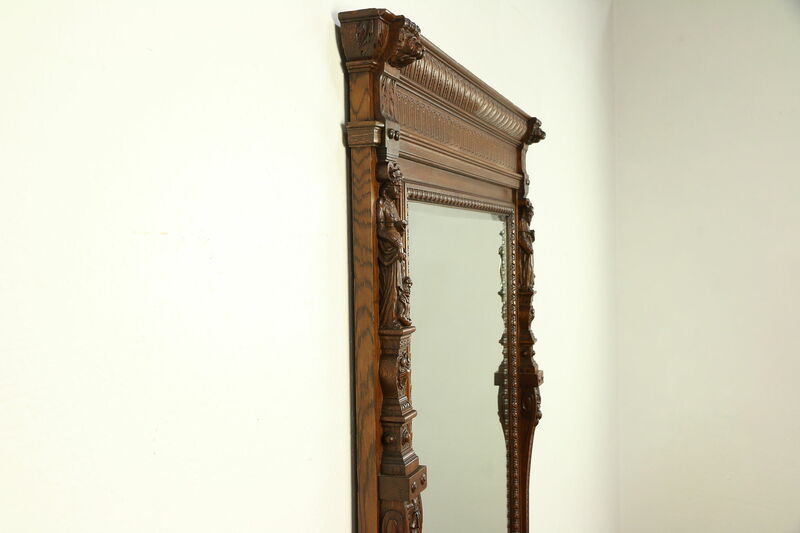 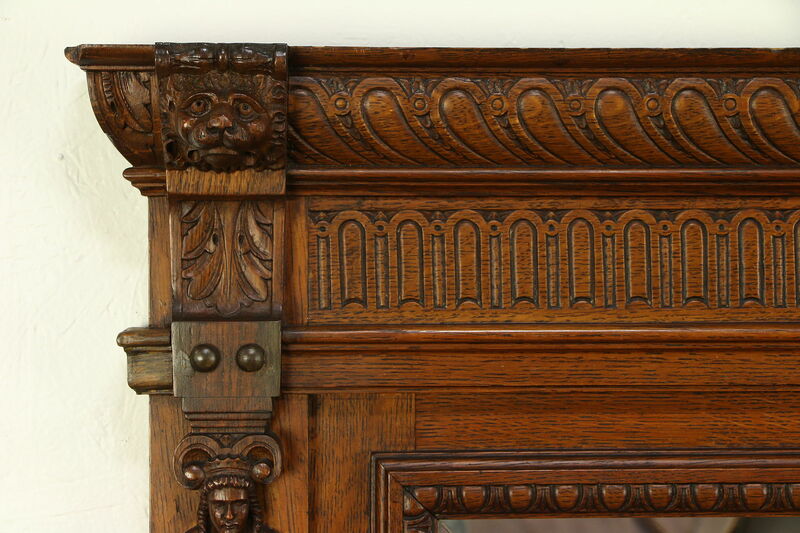 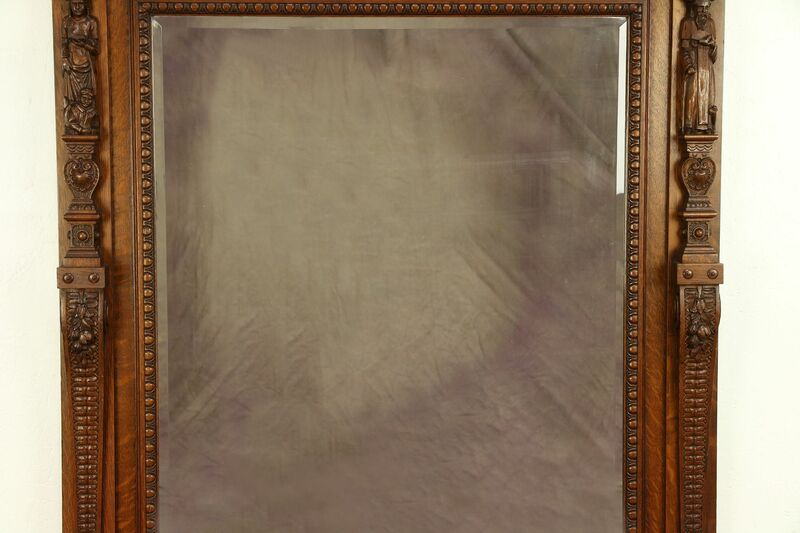 Artistic fine detailing is in high relief on this mantel mirror from the 1890's. 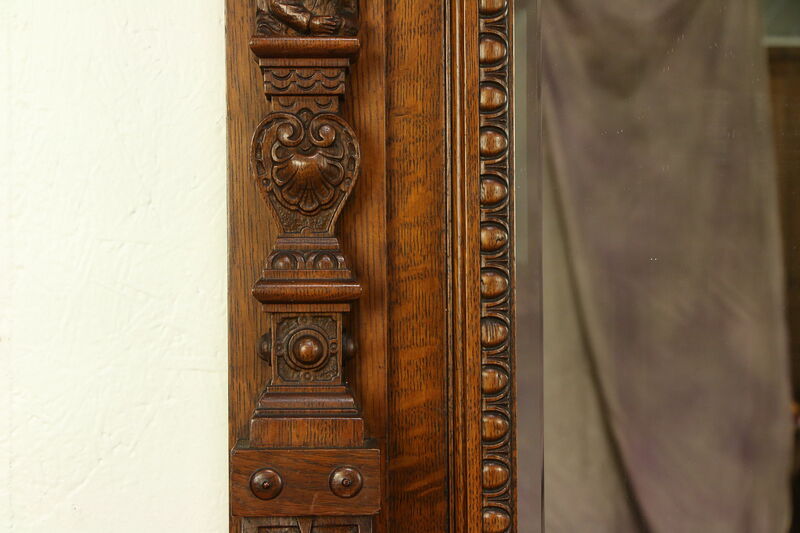 The original finish is very well preserved on this European antique furniture. 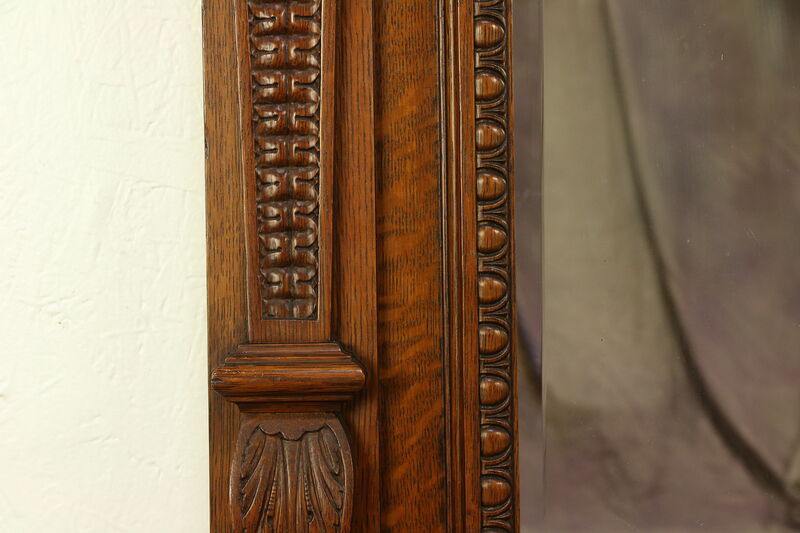 Measurements are 47" wide, 4" deep and 56" tall.